Grad students frequently wonder how much they should spend on various expenses or even how much they should be saving. The Balanced Money Formula (BMF) answers this question for the average American, but how applicable is it to a grad student’s budget? A version of this post originally appeared on GradHacker. What Is the Balanced Money Formula? The BMF, as defined in All Your Worth: The Ultimate Lifetime Money Plan by Elizabeth Warren and Amelia Warren Tyagi, is a high-level allocation of your net (after tax) pay to three areas: needs, wants, and savings. The idea is that if you conform to this ratio throughout your life, you will have a great chance of feeling satisfied with your current spending while saving enough for your future. The trap that many people fall into is letting the needs component of their spending take up too much of their income, which crowds out saving and inhibits spending your money in areas that bring you a lot of comfort and satisfaction (your wants). The magic ratio of the BMF is 50% to needs, 30% to wants, and 20% to savings. The definitions of these three categories are a little different than what you might intuitively think. Needs are defined as all expenses that must be paid on a regular basis, such as rent/mortgage, minimum debt payments, insurance, contracts, groceries, transportation, and utilities. Wants are defined as discretionary purchases such as restaurant eating, entertainment, shopping (beyond basics), and travel. Savings is broken up into a few stages and categories. When you have debt other than for your mortgage, savings means accelerated debt repayment (the minimum payments are in the needs category). Once you are out of all debt except your mortgage, the 20% to savings becomes 10% for retirement, 5% for extra mortgage payments, and 5% for your “dream” goal. Keep in mind that the BMF was not designed for a Millennial audience. I’m particularly concerned about the advice to save only 10% of net income for retirement (and only after you’re out of non-mortgage debt). Millennials will likely only have one-and-a-half legs of the older generations’ three-legged stool available to them – personal retirements savings and a reduced Social Security benefit (no pensions). That personal retirement savings leg is going to be doing most of the heavy lifting, and 10% of net after you’re debt-free probably isn’t going to cut it. What I think is valuable about the BMF is the emphasis that there is a place for each of needs, wants, and savings throughout your life, the stern warning against letting the needs category inflate, and the suggested 5:3 ratio between spending on needs and wants. 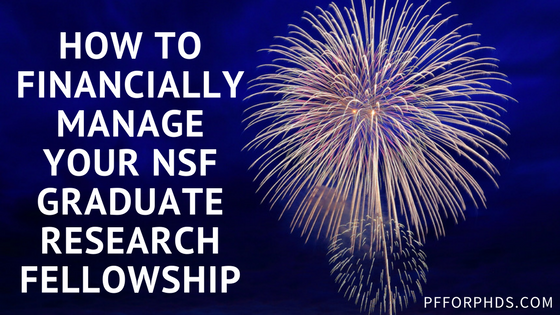 Can and Should Every Graduate Student’s Financial Management Conform to the BMF? 1. The BMF may be right for a lot of people, but ultimately it is just an opinion. You can create your own BMF with a different ideal ratio among needs, wants, and savings that works best for your life. The point is to find a ratio that keeps you on track to accomplish your financial goals without feeling too restricted. 2. Even if you do agree with the BMF, All Your Worth acknowledges that an individual might not stick to the BMF during special life circumstances. Living on a low stipend for a limited period of time while you’re receiving training can qualify as special life circumstances if you need it to. You can find another ratio to keep during grad school and set up your post-grad life to fit the BMF. Given these caveats, the BMF is still a good starting point for planning how to allocate your stipend pay. 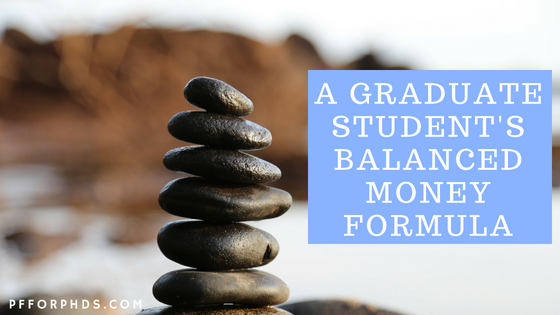 How Can a Graduate Student Create a Balanced Money Formula for Herself? First, categorize your spending according to the BMF’s needs/wants/savings definition and see how it compares to the suggested 50:30:20 ratio. When I did this during grad school, I was pleasantly surprised that my financial allocation aligned within 1% of the BMF (though my full 20% to savings was going into retirement savings). This told me that my gut feeling that my spending and saving was in balance and sustainable was probably correct. The danger for graduate students is the same as for the population at large: the needs category ballooning and edging out what makes your life stable (savings) and fun (wants). 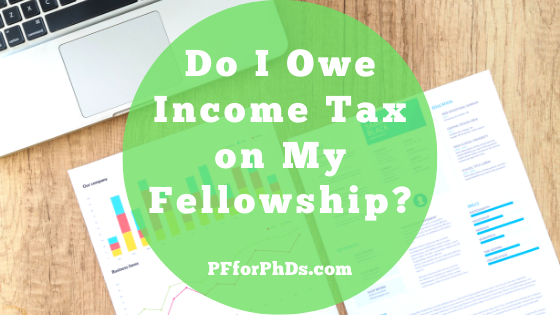 Even for graduate students, the percentage of your post-tax income that is spent on needs rising above 50% should give you pause and compel you to consider ways to reduce your spending. You may not get it under 50%, but the better you do with minimizing that category the more ‘in balance’ you will probably feel. In some high cost-of-living areas, close to 50% of a graduate student’s stipend might be spent on rent alone and of course in those cases the BMF cannot be achieved. But if you are over 50%, you should be doing as much as you reasonably can to minimize that category of expenses overall. For example, perhaps your rent is high, but you live with a roommate to get it as low as possible, and the location allows you to live car-free, which minimizes your overall needs spending. Consider capping the percentage of your pay that you are willing to spend on needs at your absolutely maximum (e.g., 70%) to trigger yourself to reduce one of your large fixed expenses, even if it requires moving, should your needs ever rise to that level. 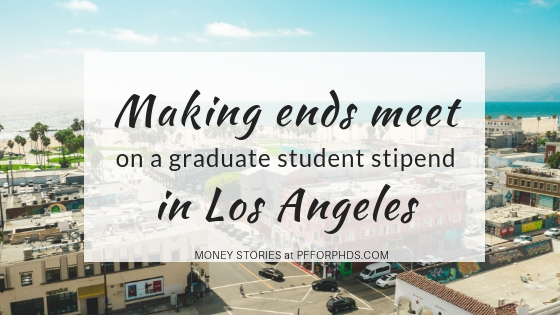 Some graduate students with more generous stipends and/or a manageable cost of living may spend significantly less than 50% of their stipends on needs. In the case, the best course of action is not to intentionally spend more on needs (though you have the leeway if you would like to), but rather to increase the amount you save and/or spend on wants. If you have asked yourself if you are spending a reasonable amount of money on your wants and needs and saving enough, the BMF is a great formula to use as a starting point for your budget. However, over time you will likely want to adapt how you allocate your money to best match your values and goals. 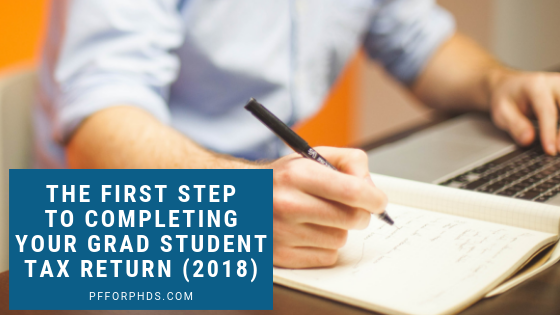 If you want and are able to follow the BMF, the 20% of your money that is saved during graduate school could go toward building an emergency fund, investing for the future, and/or paying down debt. You should start with at least a baby emergency fund of $1,000, if not a few months of expenses. According to All Your Worth, your next step should be to pay off all non-mortgage debt, but if (some of) your debt is at a low interest rate and doesn’t bother you, investing for retirement is a great choice as well. Let both the math of the situation (interest rates on debt vs. expected rates of return on investments) as well as your personal disposition toward the options lead you to the correct choice in your life. While I am a proponent of adding money each month to targeted savings accounts to help you pay for irregular expenses, I think this type of saving should come from your needs or wants categories. Saving with respect to the BMF should be only for mid- or long-term goals, whereas saving for irregular expenses is a short-term goal. It is enormously worthwhile to start building the habit of saving during graduate school, even if you can’t reach the 20% target from the BMF. Applying compound interest in the form of investing or debt repayment to even a small percentage of your pay is amazingly powerful. 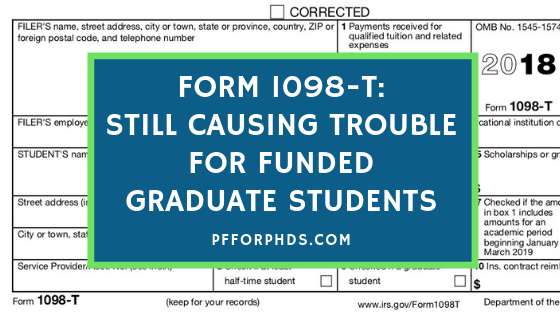 Not having room for needs, wants, and savings to some degree in your grad student budget is an indicator that your pay is too low or your spending is askew. If you are earning too little from your role as a graduate student, your options are to develop a side income or take out student loans. You must carefully weigh the consequences of your choices. Student loans will hold you back from building wealth post-grad school. A side income might benefit you if it furthers your career goals, or it might distract from your degree progress, which should be your top priority. What percentages of your net pay do you spend on needs, wants, and savings? Have you ever successfully reduced the amount of money you were spending on needs?